Trevecca students now have a shorter drive to Walmart. A new store opened last month near 100 Oaks–about 4 miles from campus. “Any time we run out of something, I go to the new Walmart and grab it. It is super convenient to go over there,” said Rebekah Dunn, a senior at Trevecca. According to store manager, Stephen Taylor, the new locaion on Powell Ave. attracts people from the Green Hills area, downtown, Vanderbilt health center, Berry Hill and the Lafayette and Murfreesboro Road area. The estimated time from Trevecca to the new Walmart is under 10 minutes driving time, and students said that they enjoy having a closer Walmart to campus. The new Walmart also offers new job opportunities for students. 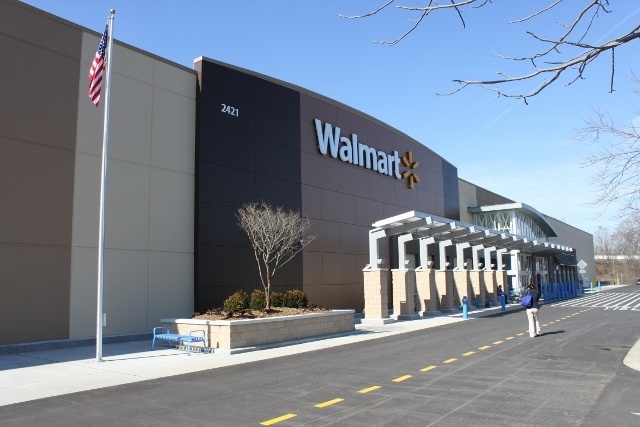 Last year, Nicole Hubbs, Trevecca’s coordinator for junior and senior programs, sent an email to all Trevecca undergraduates saying that a Walmart store was opening and that they were going to employ 200 to 300 people. Brittany McLaney, a former psychology major at Trevecca, is employed at the new Walmart store as the manager of the photo center. She works five days a week and usually eight to nine hours a day. “[The new store] is closer, more convenient, safer and cleaner. Several students have contacted me to try to see if they could get a job since they know that I work there,” McLaney said. Other students said they also think the new store is safer than the store on Nolensville Pike. The new store received more than 1,000 applications in one month and has hired 100 people. This store is the only prototype in the Nashville area. It is open 24 hours a day, seven days a week and is half the size of most Walmart Supercenters with 92,000 square feet. “It is a lot to take in because I have to learn where everything is at the store because it’s not assembled like the other ones, but it is very nice,” senior Melissa Woods said.